Enjoy Lake City (ELC) recently visited Diane Haugen at a local restaurant to talk about a changing Lake City, the meaning of community, and the joy of Alpacas. 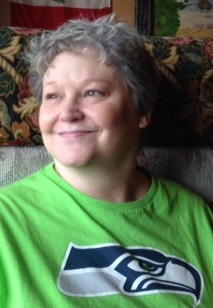 The former Executive Director of the Lake City/North Seattle Chamber of Commerce and manager of the Lake City Community Center has moved on to new work in a different neighborhood, but says she feels she will always be part of the Lake City community. ELC: How long did you work at the Chamber and the Community Center? Ten years for the Chamber and five at the Community Center. Do you miss Lake City? I do miss the community. I drive through it every day though, and I’m not too far away, just in Meadowbrook. I go to restaurants in Lake City all the time so I really feel like I haven’t left. 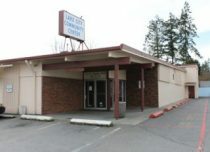 The Lake City Community Center is located at 12531 28th Ave NE next to the library. ELC: What did you like best about the work? 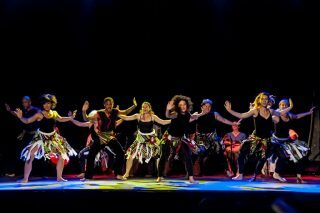 Dances from Mexico, India, China, Ethiopia and the U.S.
And other fun dances from around the world! 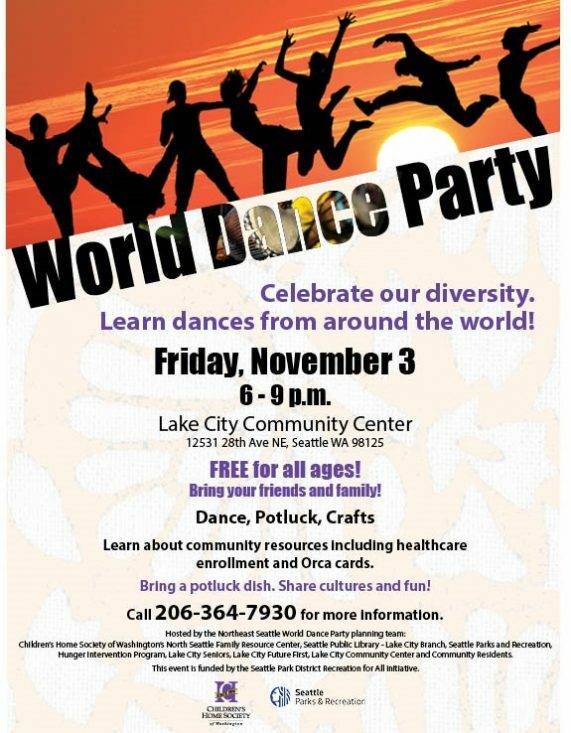 This event is organized by: Children’s Home Society of Washington/North Seattle Family Resource Center; Seattle Public Library; Hunger Intervention Program; Lake City Future First; Seattle Parks and Recreation, Lake City Youth Leaders, Lake City Seniors and community residents. 1st Annual Couldn’t Have Been More Fun! 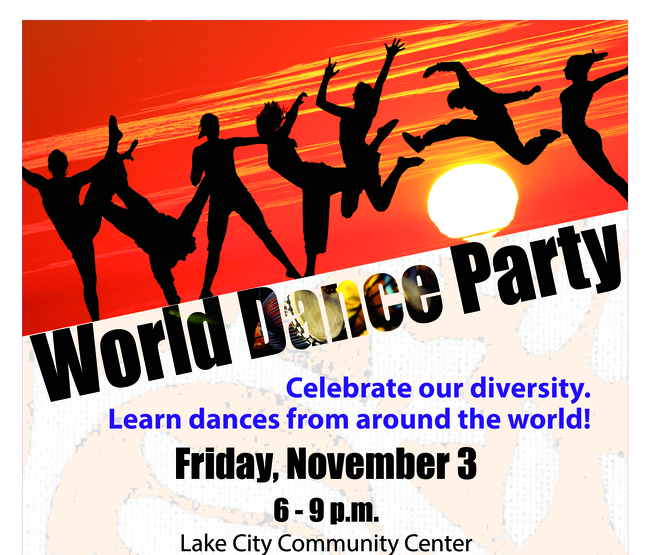 November 18th brought the first “World Dance Party” to NE Seattle and it was not to be missed. The evening was an incredible night of sharing culture with each other through food, art and dance. Six scheduled dance instructions kept the night zipping along kicking off with none other than the “Chicken Dance”. As the evening progressed another set of impromptu dances came from attendants eager to share their cultural expression including a Turkish Folk Dance and some traditional Somali Dancing. 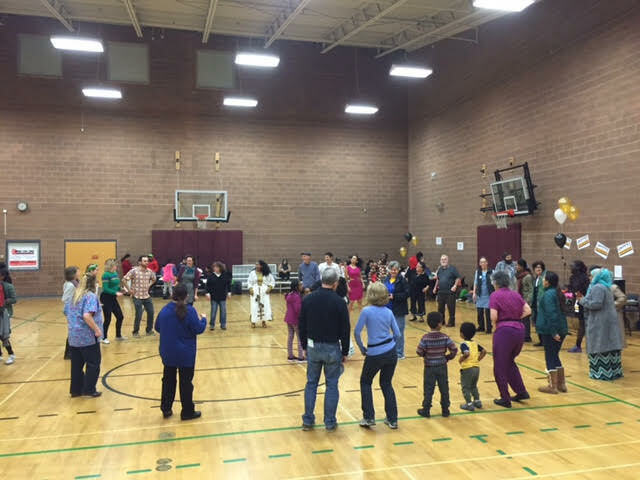 Everyone enjoyed a fantastic feast made up of potluck dishes brought by attendants, donations from the Kaffeeklatsch and Mo and Lu Pasta and wonderful offerings from Stephen with the Hunger intervention program and the staff of the North Seattle Family Resource Center. 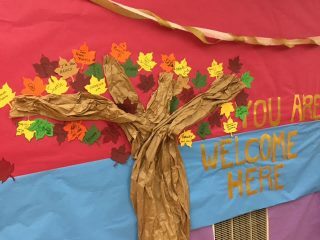 In addition, participants were asked to fill out a leaf and attach it to the “You Are Welcome Here” tree identifying where people had come from. 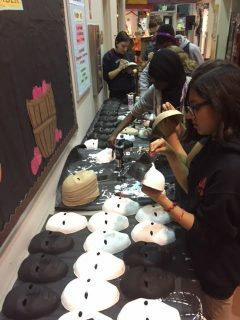 The Lake City Youth Leadership Program helped with set up and take down and also offered up a cool mask decorating station.